Feb 25, 2015By Rosetta Stone Canada Inc. Posted in: Education, iOS Apps, iTunesTagged in: Education, Rosetta Stone Canada Inc.
Rosetta Stone Fit Brains Trainer is an award-winning brain training & fitness app brought to you by Rosetta Stone, the world’s premier learning company. Fit Brains games are not only extremely fun to play, but they help improve your brain health as well. Train your brain with over 360 brain games & workout sessions designed to target Memory, Processing Speed, Concentration, Problem Solving, and Visual-Spatial skills. 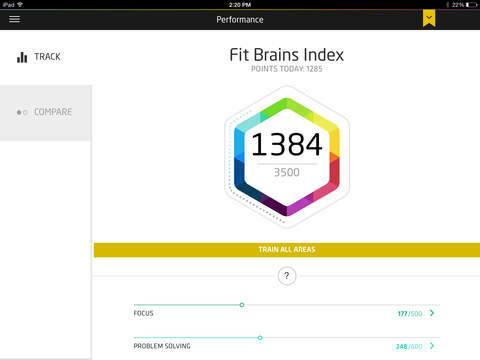 Download the Fit Brains app for FREE now! AWARD-WINNING BRAIN TRAINING BY ROSETTA STONE: The Fit Brains Trainer app has been downloaded by over 10 million people, ranked #1 education app in 90+ countries, and is a regularly featured app with more than 100,000 ratings averaging 4.5 stars worldwide! 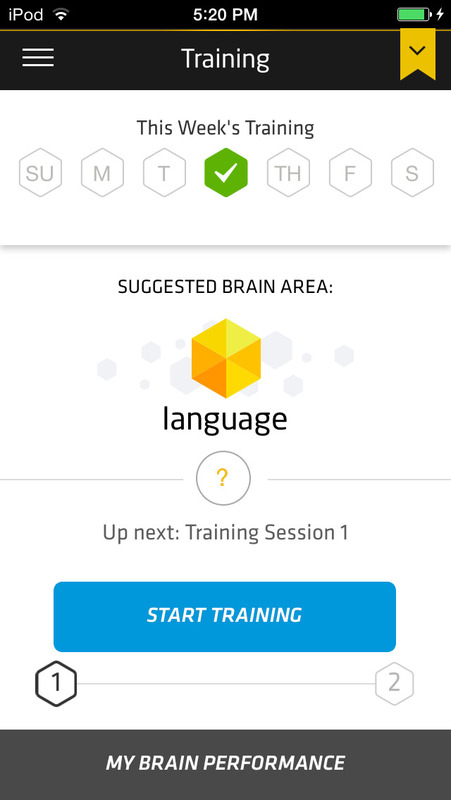 The Fit Brains Trainer app is a part of Rosetta Stone’s award-winning Fit Brains Brain Training Program, which includes a full web training program + 7 targeted brain apps. 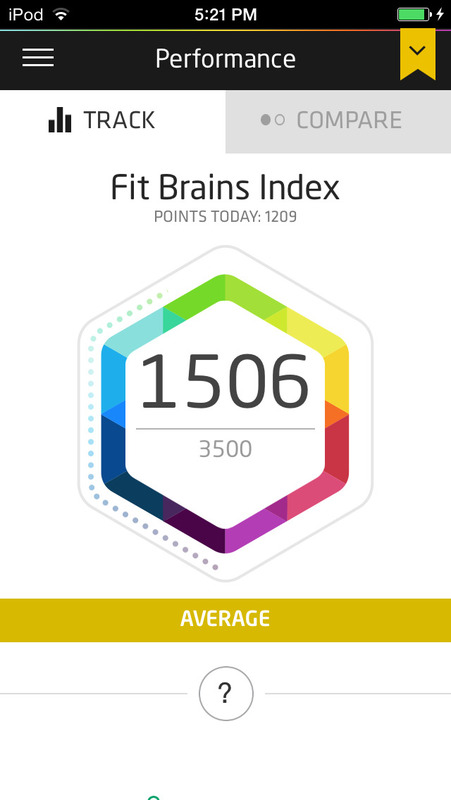 The Fit Brains Index uses an innovative adaptive learning system to scale and measures your cognitive performances across 5 major brain areas. Use personalized tools to track & improve your performance, and compare your training scores with others your age and gender. HOW TO SYNC YOUR FIT BRAINS ACCOUNT: Use the same Fit Brains Network account for all your Fit Brains apps on all your devices. Check your account by going to the "Training" tab & pull down the "Connect to Fit Brains" bar. Green = Signed in. Orange = Tap the bar and create a Fit Brains Network profile. When you open an app for the 1st time, choose "Existing User" and sign in with your Fit Brains Network account. If you’ve already opened the app, press "Settings" tab, press "Switch Users", "Sign into Fit Brains", and sign in with your universal Fit Brains Network account. Our scientific efforts are led by our Chief Scientific Officer, Dr. Paul Nussbaum, a clinical neuropsychologist and national leader in Brain Health. He is cited frequently by the media and national press including the New York Times, Wall Street Journal and USA Today. "There is a gradual growing awareness that challenging your brain can have positive effects," Dr. Cohen said… "Every time you challenge your brain it will actually modify the brain," he said. "We can indeed form new brain cells, despite a century of being told it is impossible." "I logged on during a break at work and got so hooked I ended up playing their brain games for an hour." "What’s unique: Complex, richly illustrated and thought out brain games with different levels and storylines. Summed up: Very dynamic." "It’s a game playing product but the twist here is that all of the games help exercise and train your brain!" Hello Fit Brainers, check out what’s new in this update! • 6 brain games added: Memory, Focus, Language & Visual! • Updated Fit Brains Index syncing! • Other improvements and optimizations. Swipes - To do list & Task manager to Plan, Schedule and Achieve your goals.